When applying, we’ll assess your personal situation and won’t just turn you away based on your past, even if you’ve been turned down before. Bad credit can be overcome and a Vanquis credit card can help you on your journey to a better credit rating. Using a credit card can help people with bad credit improve their credit rating. We’ve already helped more than 3.5 million people do exactly that. Watch our credit builder video for simple advice on how to start building your credit score today. Everyone’s situation is different, read our understanding credit page to see how a Vanquis credit card can help your personal circumstances. 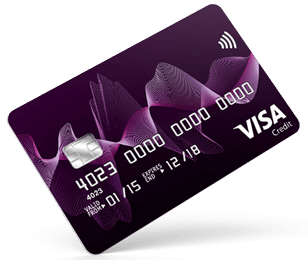 Vanquis Visa Card is only available to UK residents over 18. 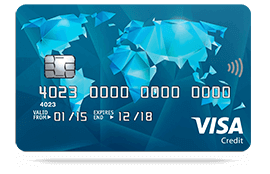 Vanquis Visa Card is issued by Vanquis Bank Limited, No. 1 Godwin Street, Bradford, West Yorkshire BD1 2SU. How it will improve my credit rating? To build your credit rating and potentially be eligible for credit limit increases, use your card sensibly by making your monthly minimum payment on time and staying within your credit limit. Not doing so could harm your credit rating. A credit score or rating is how lenders decide whether you are suitable to borrow money. Essentially it is a measure of how likely you are to pay back the money. Multiple factors are considered when determining a credit score, such as payment history, past debt and length of your credit history. These are checked by credit reference agencies Call Credit, Experian and Equifax. The higher your credit score the more likely it is that you’ll be accepted for a credit application. Bad credit is when an individual has a low credit score. This is often the result of past debt or failing to meet repayments on credit agreements. Having bad credit doesn’t mean you won’t be accepted for credit in the future. A Vanquis credit card could help you improve your credit rating. For more information on bad credit, read Vanquis’ dedicated credit card for bad credit page. Vanquis offers a risk free credit card eligibility check that will give you a response in just 60 seconds. Is a credit card suitable for me? A credit card gives you the flexibility to make repayments to suit your monthly expenditure. In a month when money may be short and you need to meet other expenses, for example, an unexpected bill, you could pay the minimum payment on your card for the following month. Before you make purchases on a credit card, always think about whether you can afford at least the minimum payment. We would recommend that you can afford more than the minimum payment. If you can only make the minimum payment each month, you should think about whether a credit card is really suitable for you. A credit card is not suitable for long term borrowing. If you are looking to purchase a large item and repay over a longer period of time a personal loan may be more suitable. A credit card has facilities that make it more flexible than cash, cheques and debit cards when making purchases. It is a safer way to purchase goods than carrying cash. In today’s world it is almost a necessity to be able to purchase goods online to get the best deals and more conveniently shop around. When travelling, hotels and car hire companies require you have a card to secure a deposit. If you require cash, it is more expensive to take cash out on your credit card. What does a credit card do? 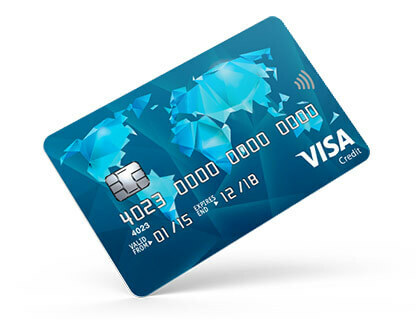 You can use your card anywhere to purchase goods or services whether on the high street or online in the UK or anywhere in the World, wherever the Visa symbol is displayed. You can also use your card in an ATM to take out cash either in the UK or abroad. A credit card allows you to purchase goods or services immediately, provided that you have enough available credit on your card for the purchase. You will receive statements showing your transactions, fees, charges and any payments. You will have to pay at least the minimum payment by the date which will be shown on your statement. How long do I have access to the credit? Provided you meet at least the minimum payment on time each month, and stay within your credit limit, you will have continued access to the credit we provide to you. We will always reserve the right to decrease your credit limit dependent upon how you use your card and your financial circumstances, including any other credit facilities you may have with other lenders. We also reserve the right to close your account and if we do this we will always give you at least two months’ written notice. Please refer to the terms and conditions of your account for further information on when or why this might happen. How much will you lend to me? When opening your account, credit limits start at £150 and will be no more than £1,000, depending on your credit history, financial circumstances and how you are managing your current credit facilities with other lenders. Shortly after opening your account, we will write to tell you what your credit limit is. Depending on how you manage your account and credit with other lenders, this amount may change, and we will tell you if it does. Cost of Borrowing - Interest Explained - based on 39.9% APR for a purchase of £250. To reduce the interest charged, we recommend you pay as much as you can, when you can and not just the minimum payment. See the example below. If you can only make the minimum payment each month, it will take you longer and cost you more to clear your balance. To reduce the amount of interest charged, we recommend you pay as much as you can, when you can and not just the minimum payment. What is Repayment Option Plan? Repayment Option Plan only applies to you if you were opted into the Plan before 19th April 2016. It is an optional part of your account with a monthly charge, with 3 features, designed to help you build or rebuild your credit. Click here to find out more. I've been turned down before, will that affect your decision? Not necessarily. Your credit history needn’t mean you get turned down. Applications are considered on merit and we’ll still consider you if you’ve been turned down in the past. Will I be charged for applying for a Vanquis Visa credit card? No, it costs nothing to apply, and if accepted there is no annual fee. If you apply online you should get a response within one minute. If we need to talk to you about your application, we’ll normally call you within 15 minutes of your application being submitted. If we can’t speak to you then, we’ll continue to call you over the next weeks. If you reply by post to a direct mail application and we need to speak to you about your application, we will call you. For most accepted customers, we’re able to tell you over the phone that you’ve been accepted. Normally all applicants will receive a decision within 28 days of submitting their application. How do you work out my interest rate? 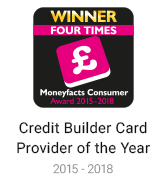 We use risk based pricing and when you apply to us we assess the information on your application form and any information we have on your credit history from credit reference agencies. We’ll send you your card and Welcome pack to your home address. You’ll need to call us to activate your card. What if I change my mind? Can I cancel my credit card and how long do I have to do that? After applying and receiving your credit limit, if you change your mind, you have 15 days to withdraw from your credit card agreement with us and cancel the card. You can do this by phone or in writing. You will have to repay us any credit and interest outstanding on your balance within 30 days. Interest will be charged for each day between the credit being drawn down and repaid. At any time, you can ask to close your account. To do so you must repay us any credit, interest and unpaid fees and charges outstanding on your account. Please refer to your terms and conditions for more information on how you do this. How do I find out why you turned me down for a card? As a responsible lender, we take into account your financial circumstances to establish the appropriate level of credit to grant you. To help us do this, applications may be assessed using a process called credit scoring which assesses credit stability and ability to pay. Credit scoring produces consistent decisions and is designed to ensure all applicants are treated fairly. If we have declined you, this is based on the information we have obtained and the way this information is used in our credit scoring system. If you would like us to reconsider our decision, you can write to us at New Accounts Department, P.O. Box 399, Chatham, Kent, ME4 4WQ and provide us with any additional information that you consider relevant. You have the right under the General Data Protection Regulation 2018 and Consumer Credit Act 1974 to see information held about you.